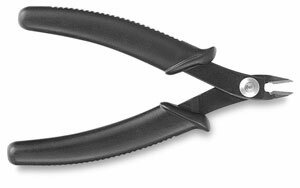 This nipper cuts a wide variety of soft materials, including jewelry wire and cord. Its angled blades shear lines without fraying and leave a smooth edge. Note — Not for use with hard wires or spring-tempered material.